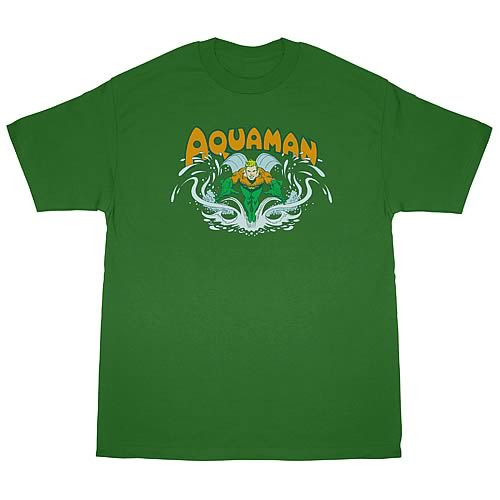 DC Originals Aquaman Splash T-Shirt. Make a super hero-sized splash with this 100% cotton, high-quality, pres-shrunk kelly green t-shirt. Machine washable. Order yours today!